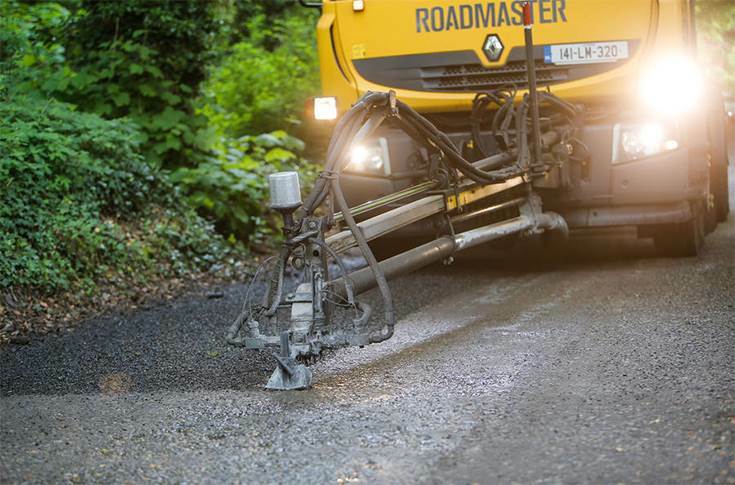 The UK Government has announced that it will begin real-world tests of new road surface technology that will seek to identify a more effective method of repairing potholes – and even stop them forming in the first place. The scheme, announced by the UK's transport secretary Chris Grayling, is called Live Labs and will operate with £22.9 million (Rs 213 crore) of government backing. So far, eight authorities have elected to take part, including Buckinghamshire, Staffordshire, Kent, Birmingham and Reading. Each location will try a different type of technology. Central Bedfordshire won a £1.05m (Rs 9 crore) share of the funding to test solar power in footways and a “power road” solution that collects geothermal energy to de-ice car parks and bus stations, preventing pothole formation. Cumbria has been allocated £1.6m (Rs 14 crore) to extend its existing plastic roads trial and produce guidance on the use of the new surface material. Last year, the Government announced that it would provide councils access to a £100m (Rs 930 crore) fund to help repair potholes. But although the Government has stressed a focus on pothole repair, with Grayling stating “potholes are the number one enemy for road users”, only a small percentage of Live Labs will directly investigate this. The majority of funding will instead go towards data monitoring. Reading, which has received the largest share of the funding, at £4.75m (Rs 44 crore), will trial the use of traffic signal detectors and mobile phone data to provide a real-time view of Thames Valley traffic and produce a ‘public health exposure model’. Solihull and Birmingham will spend £2.65m (Rs 24 crore) on the tracking of vehicle journey times and cyclist and pedestrian behaviour via video monitoring to investigate how push messaging will enable people to make better travel decisions. So while the scheme might develop a better understanding of traffic behaviour and enable commuters to make better travel decisions, it's unlikely to go a very long way toward solving the nation’s pothole problem. In last year’s budget report, chancellor of the Exchequer Philip Hammond pledged £420m (Rs 3,909 crore) for road repair.